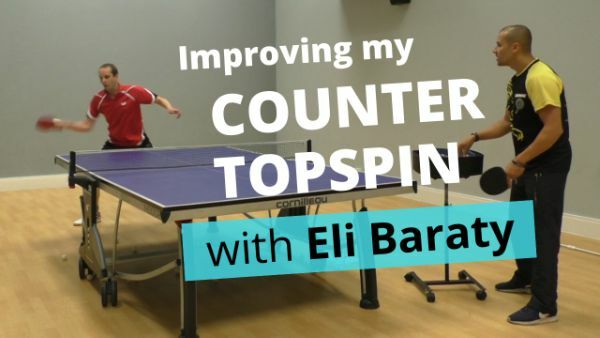 In this video I ask top coach Eli Baraty to help my improve my counter topspin. Usually when my opponent attacks, I go into blocking mode. But I’d like to do a bit more than always ‘block’. I want to get better at attacking my opponent’s attacks. So I got together with top coach Eli Baraty to develop my counter topspin skills. In the video Eli takes a look at my technique and gives me tips on how improve my counter topspins, including shortening my strokes and recovering quicker. 0:00 – Tom introduces the video. 0:20 – Tom explains why he wants to improve his counter topspins. 4:16 – Tom gives his feedback of the coaching session. Thanks Tom for your well produced and informative videos.For me it is important to understand the reasoning behind a shot or stroke I am trying to learn and you give alternatives, with pros and cons for each. I also like that you ask if there is anything you can do better which shows a genuine desire on your part to be a better coach. You are doing great, keep it up. I will be 66 next month and I am learning from your videos,thank you. Thanks for watching and commenting Allan. And keep playing. 66 years old is still young!